Enter North West Door and ask for someone to direct you to the dance studio. Required to sell 20 performance tickets. Check out our website for more information. 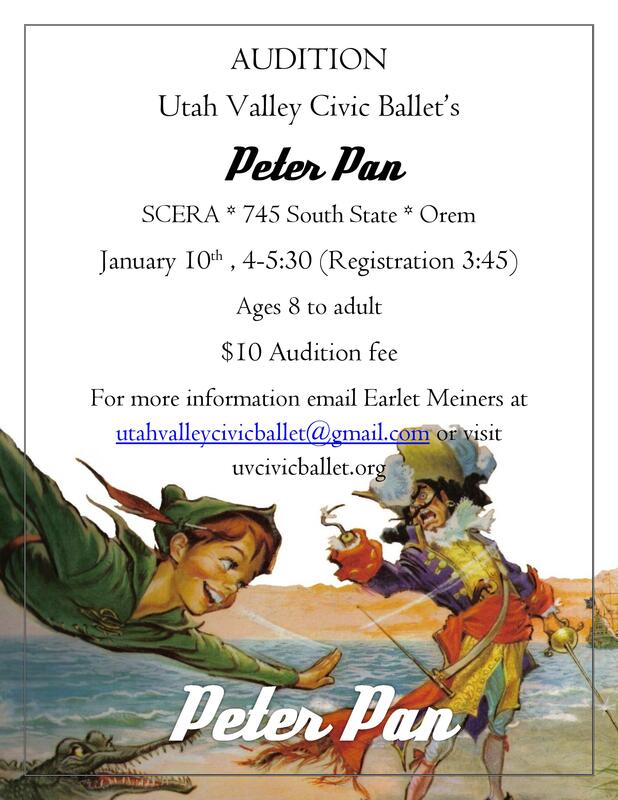 Contact Earlet Meiners at utahvalleycivicballet@gmail.com or text 801-358-3920. Leave contact information.